The World’s Smallest Washing Machine Can Fit In Your Bag! Now you can travel light and just wash your clothes any time! We all know how much of a hassle it can be to pack for trips, ESPECIALLY if you’ll be traveling for a long period of time. In fact, most of us over pack just so we don’t run out of clothes! The downside is that we end up lugging a heavy suitcase or backpack around, filled with clothes we aren’t even going to use. Meet the Scrubba wash bag! 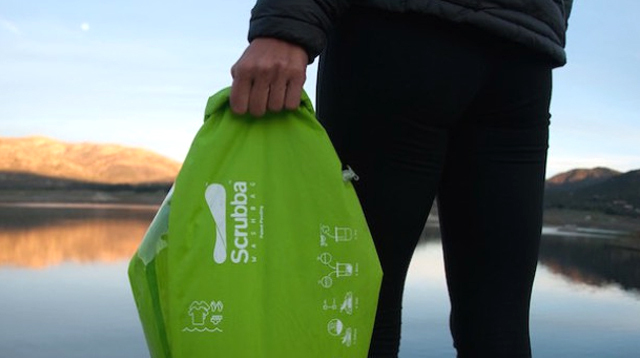 It is a lightweight, waterproof bag that can clean your clothes in around 3 minutes! All you need to do is add water and detergent—you can check how much you need to put in through its transparent window—and then release the excess air with the side-valve. The Scrubba has nodules inside the bag that causes enough friction to remove stains and dirt. You only need to do this for 30 seconds before rinsing your clothes. The bag is available on Amazon for $55 or P2,552. Unconvinced? You can watch the bag in action down below!